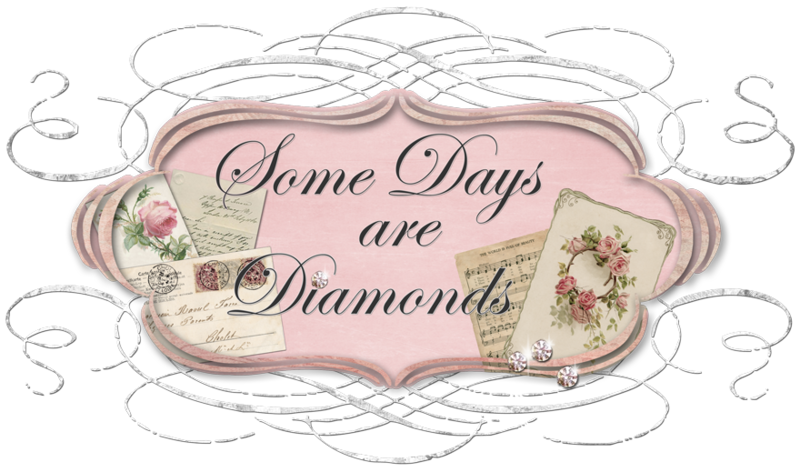 Some Days Are Diamonds: Time is flying by! WOW! It is already one week into the New Year! MY GOSH! Where did the time go? we stayed at in Indio for New Years. We had such a nice time. take a few photos of the living room. lamps in there and left it on after they left. And it looked so pretty! makes the room look so different. when I put the Christmas tree up. I like it. So I left it that way. Now I am getting ready to head over to Arizona to stay with CeeKay from Thinkin' of Home for several days. We are going to be attending a Terri Brush soldering class for 2 days together! YAY! Terri is just SUCH a sweetheart - I just loved her instantly at the event of hers I attended with Joy back in Sept/Oct in Oregon. CeeKay and I just got off the phone after almost THREE HOURS talking. So blame her for why it took me so long to get this post up today! :) (sorry my friend!) hehehe. I mean, we are going to see each other next week for crying out loud ... but there is just so much to talk about, and with my longer work hours we haven't been able to talk as often. She is too flippin' cute and I am so excited to get to see her and Marty and Cindy next week. YAY! That's it for now. I need to start packing! But first - a trip out to Tai Pan with my sister, who is then going to spend the night here (our husbands are out of town together) so we'll have a great "girls" night - just the two of us, the dogs and a great bottle of wine. YAY! Turn on a different lamp tonight - you just might like what you see! I am so envious!!! I want to be in that class! Have fun... can't wait to see what you've learned! The shots of your home are beautiful, Karen! Light has a way of changing everything, making it more pretty. I bet you are so looking forward to Arizona...I know Cindy is. You are all going to have a blast!!! I wish I were going! Have a great time tonight, sounds like fun! Love the desk, your Precious Mama's typewriter and the journal! I hope you and your Sister have a wonderful evening and a fun sleepover:) Love you bunches, HUGS! Hi Karen! Oh, you're on a girly trip for sure. Sounds like so much fun. Tell all those gals hello. Your home is so beautiful and your desk looks wonderful in the corner. How special to have your mom's little type writer - it's a cutie. Have a great time, and Happy 2011! I love the desk there!! your room looks gorgeous. I always enjoy my rooms after all the Christmas is put away. See you soon! Karen your home looks like a model home, only much more warm and friendly. Just beautiful. Is Mark at the CES convention here in town? I hope you have a great time in Arizona. Lovely pics. Have a fun and safe trip. You always seem to find great adventures to embark on. I was just getting ready to go a lookin for you! Your living room look's just gorgeous Karen! I really do love that desk, and that typewriter is so special! OK, I am getting really excited about going! My plane leaves Tuesday early evening from MSP and I will be raring to go when you get into town! I will e-mail you too! My mother had a similar typewriter and could type 90 words per minute. Pretty amazing! Love the typewriter photo. Lovely photos & views of your home. When you get to Phoenix, give Marty & Ceekay a big hug for me. So enjoyed meeting them ... enjoy your trip. Have a beautiful PINK weekend, sweetie. I love the room and the lamps, just lovely! I have some favorite lamps packed away and you have inspired me to go and unpack them and get them out. Thanks and Happy New Year! Enjoy your trip and all your crafting...happy new year! Happy New Year, I hope you and your family have a blessed season!!! very well written and all that link love you just poured out, great post, if this was a forum you would have a sticky on this.